This balanced microgran formulation is ideal for use during the main growing periods in late Spring / early Summer. High nitrogen levels produce good strong lawn growth supported by phosphate and potassium to encourage a strong hard wearing sward. 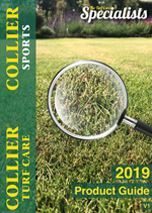 The nitrogen content features 25% MU giving slow release benefits, and added magnesium enhances lawn health and colour.